Unit convertor apps usually aren’t all that exciting, and I definitely wouldn’t call them sleek. Flib, from Ten Days One App is an Android App that looks to solve one of those issues as it’s by far the slickest convertor app we’ve come across. 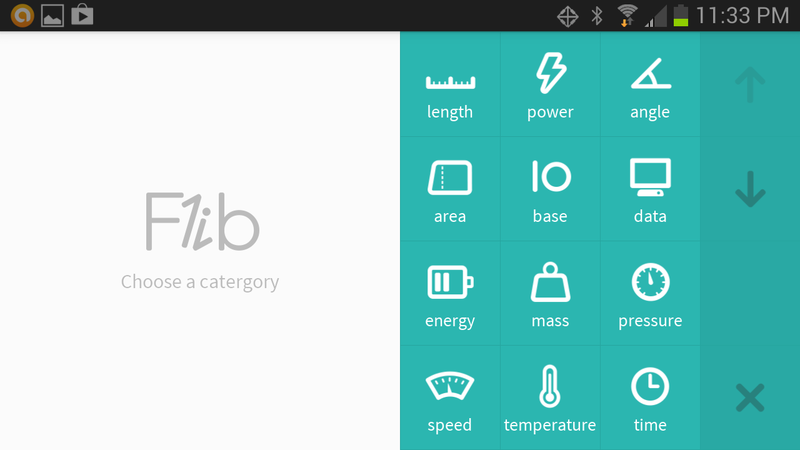 Flib doesn’t look like your ordinary unit convertor app. When you first fire up the app, you’ll see a colorful interface with big buttons representing the different unit convertors. You’ll get thirteen different means of conversion including time, speed, length, power, data, and volume. You simply need to select the tile you want to use, and then enter your data to get the results. 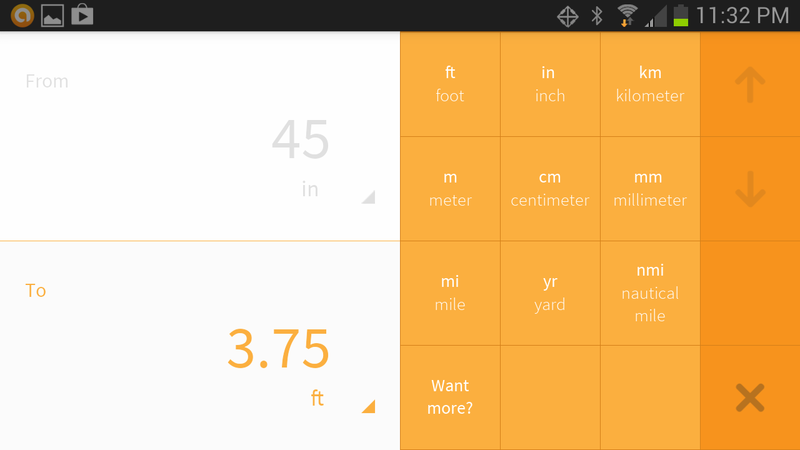 Everything is easy to navigate, and drop-down along with the tiles give you quick access to everything you’ll need. While there’s nothing groundbreaking in regards to how things work, Flib does have some features that set it apart from other convertor apps. Flib has a memory, and it uses its brain to remember your choices so it can rearrange the tiles to put your favorites at the top. As mentioned, Flib is a stylish app, and it gives you 12 different color schemes to choose from. It’s a small touch, but a nice one as most apps of this nature offer nothing aside from a black or what screen. As you can see from the screens, Flib is probably the sexiest convertor app you’re likely to see. The transitions are smooth, the colors palette is just right, and it’s extremely easy to use. I would definitely like to see more methods of conversion in the future, but everything else is as right as rain. Flib is well worth a look if you’re in the market for a new convertor app, and it’s free to download on Google Play.